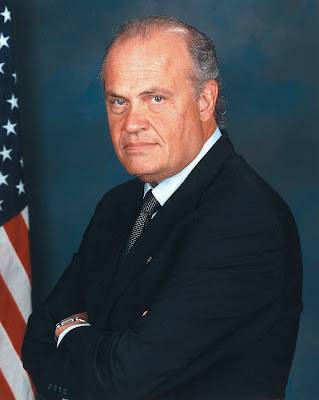 Former Republican Senator Fred Thompson of Tennessee waxed ecstatic about Sarah Palin at tonight's first night of the Republican National Convention in Minneapolis, Minnesota. In his speech on the convention floor, Thompson praised Palin because she hails from a "small town" and supports "small town values." [Palin] is from a small town, with small town values, but that's not good enough for those folks who are attacking her and her family.